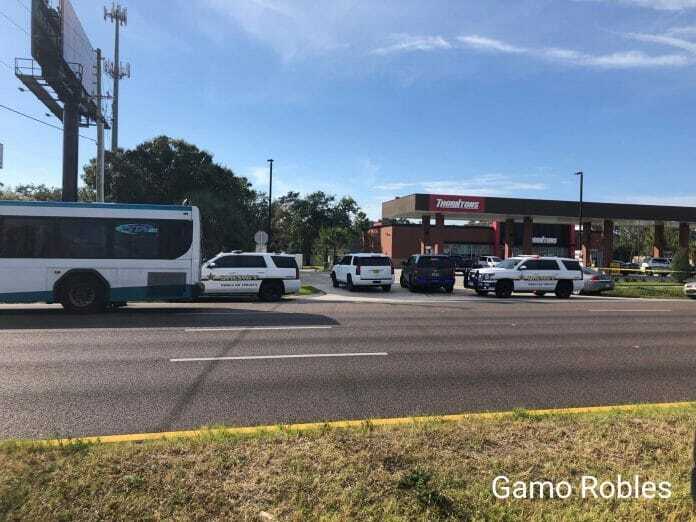 At approximately 2 p.m., deputies from the Pinellas County Sheriff’s Office arrested a suspect after an altercation at a Palm Harbor gas station. Deputies encoutered a subject at the Thornton’s gas station, located at 32490 U.S. Highway 19 North in Palm Harbor. A deputy fired at the subject as he fled the gas station in a vehicle westbound on Tampa Road. Deputies were able to apprehend the subject on Belcher Road south of Curlew Road. Fire rescue crews were dispatched to the scene to evaluate an injury to the suspect. Was the subj a imminent threat? Was the subj armed with a weapon or did he use his car as a weapon? Was this the subj in the 2 other incidents that happened in Clw and Largo?